AETN and ArkansasIDEAS are proud to announce that Farrah McEntire of Star City is one of 52 educators from across the country named a 2017 PBS LearningMedia Digital Innovator. The PBS Digital Innovators Program recognizes classroom changemakers who approach education with a bold perspective and integrate digital media and resources into their classrooms. McEntire, who is an EAST facilitator for the Star City School District, collaborates with community partners to encourage her students to take on real world problems and test their own ideas. As a 2017 Digital Innovator, McEntire will receive an all-expense-paid trip to San Antonio, Texas, to represent Arkansas at the PBS LearningMedia Digital Summit and the International Society of Technology in Education (ISTE) conference. Additional information about the PBS LearningMedia Digital Innovators program is available at PBSLearningMedia.org/DigitalInnovators. The proposed federal FY 2018 budget suggests eliminating federal funding for public media. AETN relies on this seed money to provide the highest quality, noncommercial programming and community services. If AETN has educated, informed or inspired you, please sign the petition urging Congress to continue funding public media at protectmypublicmedia.org. Preview the work of Arkansas's rising young filmmakers at a special screening and award ceremony presented by AETN and the Arkansas Historic Preservation Program Thursday, May 11, at 6 p.m. at Ron Robinson Theater in Little Rock. 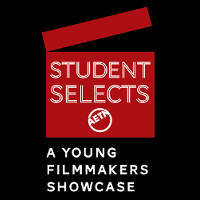 A Young Filmmakers Showcase will feature a selection of the best K-12 student films entered in the 2017 AETN Student Selects program. Among highlighted pieces will be Thea Foundation scholarship-winning films and Historic Places Film Prize-winning films. Host Chuck Dovish visits Cadron Settlement on the banks of the Arkansas River west of Conway; digs for quartz in a rock hound's paradise at the Sweet Surrender Crystal Mine; investigates the remnants of the lost resort town of Monte Ne beneath the waters of Beaver Lake; and takes in a cypresstupelo adventure with plenty of wildlife on the 3.3-mile Grassy Lake water trail in Bell Slough Wildlife Management Area. Wednesday, May 3, at 6:30 p.m.
Disasters can strike anywhere at any time, and approximately 70 million American children are separated from their families during the day. Learn how your family can be better prepared for an emergency event by exploring child-focused disaster preparedness, community resilience and steps any household can take to be better prepared for all emergencies. State, local and national experts will be live in studio to offer insight, guidance and resources to help protect children before, during and after disasters. 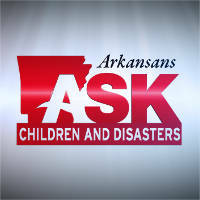 Viewers may submit questions at 800-662-2386, paffairs@aetn.org or on Twitter with #ARAsk. 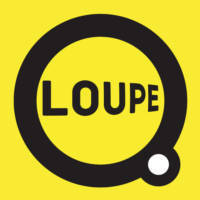 Thursday, May 18, at 7 p.m.
"LOUPE: Magnifying the Arts and Culture in Arkansas"
Tune in each Monday in May at 6:30 p.m. to celebrate Arkansas Heritage Month with short films highlighting arts and culture in The Natural State. 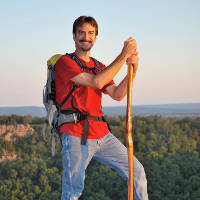 Featuring the work of several independent Arkansas filmmakers, the eclectic series includes profiles of the Governor's Arts Award recipients for 2016 and 2017, an adaptation of D.H. Lawrence's "The Rocking-Horse Winner," artist portraits and an AETN archival piece about pinhole photographer Thomas Harding. Mondays at 6:30 p.m., beginning May 1. In this month's episode, Phyllis Speer shows viewers great ways to use venison for exciting family dishes, including Venison Shish Kabobs, Stuffed Venison Burgers and Venison Roast. To close the program she shares the recipe for Mexican Crockpot Venison, a quick and easy meal that will fill up any crowd. 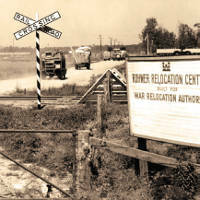 Tuesday, May 2, at 6:30 p.m.
"Relocation, Arkansas: Aftermath of Incarceration"
In 1942, nearly 120,000 Americans of Japanese ancestry were forced into prison camps because they looked like the enemy. Two of those internment camps were found in Arkansas. This powerful documentary explores the effects of the Japanese-American incarceration experience on the generation that was born after the camps closed, the unlikely tale of those Japanese-Americans who remained behind, and the implausible story of how a small town Arkansas mayor of Italian descent became a legend in the Japanese-American community. 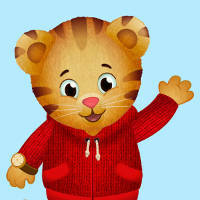 Monday, May 8, at 9 p.m.
"Daniel Tiger's Neighborhood: Tiger Family Trip"
The Tiger Family is heading out on a road trip to Grandpere's house in a new episode of "Daniel Tiger's Neighborhood." At first, Daniel doesn't know what to expect on the ride, but when Mom Tiger gives him a helpful map, he learns that there are so many exciting things to do and see when you're on a trip with your family! 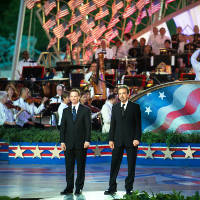 Monday, May 8, at 8 a.m.
Join co-hosts Gary Sinise and Joe Mantegna for the broadcast of the 28th annual "National Memorial Day Concert." This night of remembrance honors the service and sacrifice of men and women in uniform, their families at home and all of those who have given their lives for this country. An all-star lineup of entertainers will join top pops conductor Jack Everly and the National Symphony Orchestra live from the West Lawn of the U.S. Capitol. Sunday, May 28, at 7 and 9 p.m. 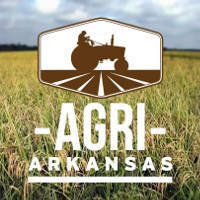 In May, "Agri Arkansas" takes a closer look at cotton. Although once a major component of Arkansas agriculture, cotton production in The Natural State has dwindled in recent decades. What caused its decline, and what is the future of cotton production in Arkansas? 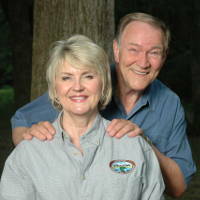 The episode will also visit an agritourism destination in Harriet, Arkansas, where guests can get a taste of farm life. 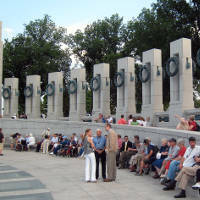 Thursday, May 25, at 6:30 p.m.
"In Their Words: A Veteran's Tribute Tour"
In June 2007, 45 World War II veterans were escorted by AETN to visit the National World War II Memorial in Washington, D.C. This special documentary documents the veterans' experiences touring the nation's capitol and their reflection on the war years in a 90-minute film that was 59 years in the making. Sunday, May 28, at 3 p.m.
"Pearl Harbor: In the Arizona," Sunday, May 28, at 12:30 p.m.
"D-Day: Over Normandy," Sunday, May 28, at 1:30 p.m.
"Last Ring Home," Sunday, May 28, at 2:30 p.m.
"In Their Words: A Veteran's Tribute Tour," Sunday, May 28, at 3 p.m.
"National Memorial Day Concert," Sunday, May 28, at 7 and 9 p.m.
"PBS Previews: The Vietnam War," Sunday, May 28, at 8:30 p.m.
May 5: "AETN Presents: On the Front Row With Katmandu," 6:30 p.m., and "Latin Music USA: The Chicano Wave/Divas and Superstars," 8 p.m.
May 12: "AETN Presents: On the Front Row With Jeff Coleman and the Feeders," 6:30 p.m., and "The Mark Twain Prize: Bill Murray," 8 p.m.
May 19: "AETN Presents: On the Front Row With Bob Wills and the Texas Playboys," 6:30 p.m.; "American Masters: James Beard," 8 p.m.; and "American Masters: Julia Child," 9 p.m.
May 26: "El Latino: May 2017," 6:30 p.m.; "American Masters: Jacques Pepin," 8 p.m.; and "American Masters: Alice Waters," 9 p.m.
May 7: "Call the Midwife – Season 6: Episode 6," 7 p.m.; "Home Fires – Season 2: Episode 7," 8 p.m.; and "Wolf Hall: Episode 6," 9 p.m.
May 14: "Call the Midwife – Season 6: Episode 7," 7 p.m., and "King Charles III," 8 p.m.
May 21: "Call the Midwife – Season 6: Episode 8," 7 p.m., and "Dark Angel," 8 p.m.